White Script’s stylish new Promo for upcoming reality TV show India’s Next Superstar will surely make eyebrows up with its mesmerising grandeur. Known for delivering one of the best TVC’s and digital branded content, White Script, has produced grand promo of TV show India’s next Superstar that would start to air on Star Plus from today in the presence of the big names of the B-town like Priyanka Chopra, Karan Johar and Rohit Shetty. White Script essentially has put one of the best talent in the Bollywood industry and designed a great looking promo which shows larger than life essence of the Bollywood and promo for India’s next superstar is one of the best example for the same. 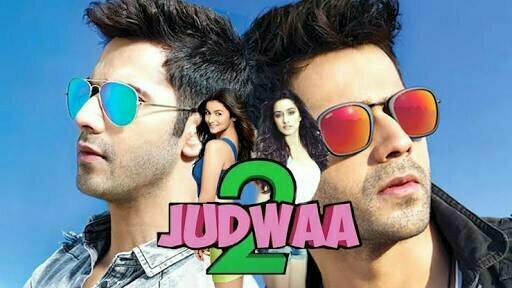 India’s Next Superstar is the show that dispels the myth of nepotism and will give the opportunity to 20 young talented common people to bring their talent across to the nation under the mentorship of the great icons of the industry Karan Johar and Rohit Shetty. White Script is a specialist media company which is one of the fastest rising in the ever changing advertising and TV arena. They have produced some of the most memorable campaigns whether its skin care, Hair Care, Humour or slice of life. The team at white script has been churning out one winner after another along with winning FICCI- BAF 2016, which is the result of their hard work. Not only this ,White Script has produced memorable campaigns with Ranveer Singh, M.S Dhoni , Kannada Super Star Puneeth Raj Kumar, Kalki Koechlin , Soha Ali Khan , Boman Irani , Genelia Dsouza Deshmukh, Sunil Grover, Marathi Super Star Ankush Chowdhary, Monica Dogra, Dhrishti Dhami, Arjun Bijlani , Tridha Chowdhary, Kabbadi Star Anup Kumar and many more talented stars and Technical teams from all around the globe. White Script has its eyes set firmly on doing best creative work with global quality to set new standards in the media industry. Next articleGeeta Ma writes an emotional message as Rithvik bids adieu to Super Dancer!